There are many Tai Chi classes in Greater Manchester, but we have been established teaching Tai Chi classes here in Bury since 2000. More details are on the classes page. Click on the tab at the top marked "Classes"
Our instructor Sue Johnson has trained for over 25 years with frequent visits to China to ensure that the teaching is both accurate and up to date. 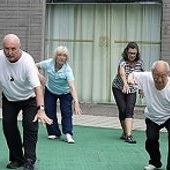 Now Sue focuses on Tai Chi for health and Wellbeing, especially for mature bodies! Sue has also practised Wild goose Qigong since 1990, and has trained in Wuhan with the Grandmaster of the system! All our classes are suitable for people aged 50+. Learn how to relax with the slow gentle movements of Tai Chi and Qigong. Discover how Tai Chi and Qigong can maintain your joint mobility and flexibility. Find out how Tai Chi Wellbeing can improve your health. Come and learn how you can benefit from this system of Chinese exercises for health and wellbeing. Find a class for you on this website! 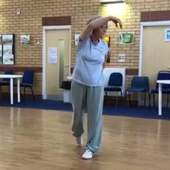 Here you can see Sue Johnson performing the "First 15" Form, which we learn on Tuesday morning at the Jubilee Centre. There are other videos on this website. On the HEALTH page you will find the movements for the 2nd part 15 -30 and also the last section of the Form. We hope that these videos will help you with your practise. If you like the video above and want to follow it, here is the back view! * Breathing techniques known as "Qigong"
Tai Chi (chuan) really mean Tai Chi boxing, or Tai Chi fist , and is primarily a martial art. Because of its many other ingredients it can also be used to promote relaxation, wellbeing and generally improve health. This is particularly due to the Qigong aspects of the exercises. Qigong, pronounced " Chee gung" is a Chinese exercise system based on yin and yang. It uses stretching and relaxing, whilst breathing in and out, to open and close the body. With no martial applications, this gentle wellbeing exercise has been used in China for self healing since earliest times and can be dated back almost 2000 years. 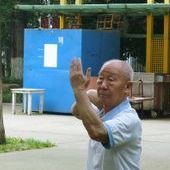 In China, you often see older Chinese people practising this in the parks. 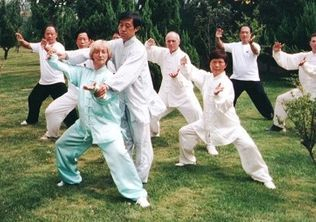 Westerners oftencannot tell the difference between Qigong and Tai Chi ! By following and mimicking animal movements, the ancient Chinese believed that the could maintain their own health and increase longevity. The movements open the Acu-points and promote the circulation of the life force energy (QI). The internal organs are brought in to harmony and balance. 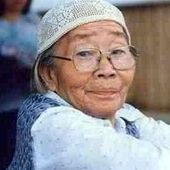 Negative energy, which causes stagnation and illness is flushed out and replaced by fresh Qi from the universe. It uses the principles of Traditional Chinese Medicine to promote Self Healing, self nurturing and wellbeing. If you are looking for Qigong in North Manchester, we also offer Wild Goose Qigong classes in Bury. Some people find this easier to learn than Tai Chi, so why not give it a try. Our Wild Goose Qigong teaching comes directly from Grandmaster Chen Chuangang, the 28th generation lineage holder of this system, and son of Yang Meijun. Wild Goose Qigong started almost 2000 years ago and is credited to Dao An, who translated the Buddhist texts into Chinese. This makes it 1000 years older than Tai Chi! Our Wild Goose Qigong classes in Bury are open to both beginners of all ages (over 18) and to those who may have previous experience, and who now wish to learn the accurate, authentic version of this form that was handed down to former Grandmaster Yang Meijun from her Grandfather Yang De Shan. Please see www.wildgooseqigong-uk.com for more information. Come and try these gentle, wellbeing exercises in our Bury Qigong classes. Below you can see a video of the lovely wild Goose Qigong 1st 64, which we learn in Bury. In our Tai Chi sessions we also cover the first sections of this routine. (movements 1- 11, or 1 - 23.